Triggers. Actors. Flow. Complexity. These are words that come to mind when we hear someone say “use case“. Use cases are, of course, an irreplaceable and necessary facet of the software development lifecycle (SDLC). In the context of software development, a use case is not only a description of the actual task at hand, but also a description of how the website ought to behave in the event that a user triggers the task, among other things. The key, here, is to define the correct sequence of events that will allow a user to complete the pre­defined task. This becomes highly relevant during two very distinct phases of the SDLC: the UX phase, and the QA phase – but more on that later. Having briefly touched upon what a use case is intended to accomplish, let’s address some surface-level etiquette before delving deeper down the rabbit hole. We’ll begin as close to the surface as possible: what exactly does a use case look like? Preconditions: predetermined conditions which must be met for the use case to be valid. Actor: any user which performs an action on/within the system. Trigger: this is the event that causes the use case to be initiated. 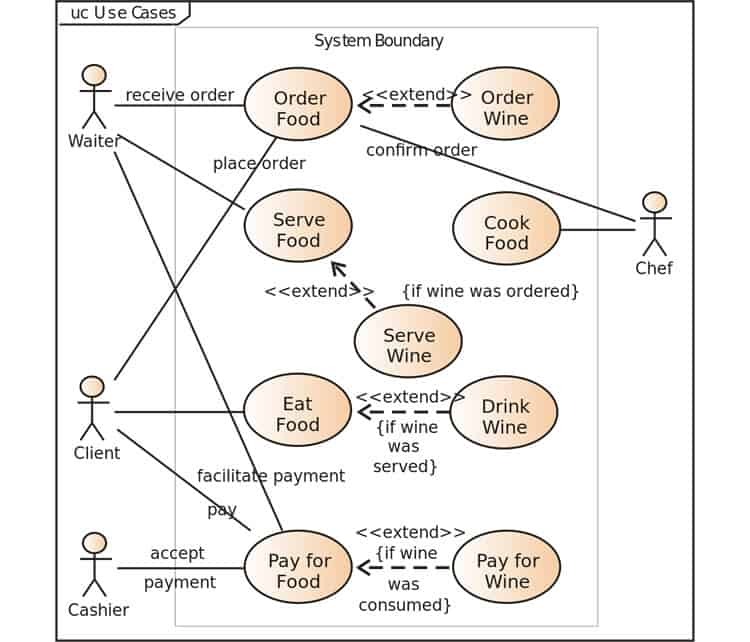 Standard Flow: refers to the succession of events and triggers which detail a typical (and successful) use case. Alternate Flow: variations of the standard flow which become relevant when something goes wrong or prevents the use of the standard flow. Stakeholder: an individual (typically the client) with vested interests in the behavior of the system. So, what does a simple use case look like? Even though UX designers learn early on that use cases are critical during the UX design phase of the SDLC, you’d be surprised to find out that many of our competitors don’t make use of these fundamental tools. This section is for those of you (and I know you’re out there) that don’t regularly use use cases in your workflow, for one reason or another. Why should UX designers care about use cases? Because they make your job easier to do, and easier to check. Designing around a predetermined set of use cases – which come directly from the client, makes it significantly easier to define and test the actual “usability” of the software. Like blinders, use cases allow the UX designer to focus on the specific flows which they are accountable for. Use cases aren’t reserved for the UX phase of the SDLC, either – they are critical to some parts of the QA phase as well. When reviewing the usability of a given piece of software, it is critical that the QA specialist have the use cases on hand. How else can one judge whether or not the UX designer was successful in his/her endeavor to faithfully reproduce the vision of the client? Use cases give QA specialists a set of criteria which had to have been addressed by the design. In fact, one could argue that QA tests conducted on a piece of software without adequate use case documentation are only completing half of the job. UX designers (and QA specialists): whether you like it or not, use cases are a part of your job description. They give you the blueprints for crafting a successful implementation of the client’s vision of the product, and the foundation for a successful quality assurance test of the software’s usability.